Regardless of fault, you may be entitled to workers’ compensation benefits if you are injured on the job. Once an injury occurs, notify your supervisor within 30 days. It is best but not required to inform your employer in writing. If you fail to notify your supervisor within 30 days, seek legal advice anyway, it is possible you still may qualify for benefits. File a claim at the Workers’ Compensation Board as soon as possible. A claim must be filed within 2 years of the date of accident using a C-3 form. You may wish to seek legal advice in completing this form. If you fail to the C-3 form within 2 years from the date of accident, seek legal advice as you may qualify for an exception to the general rule. You may also have a claim if you were not injured as a result of an accident but injured to an occupational exposure over time. If you think you may have a claim like this you should seek legal advice to find out more. 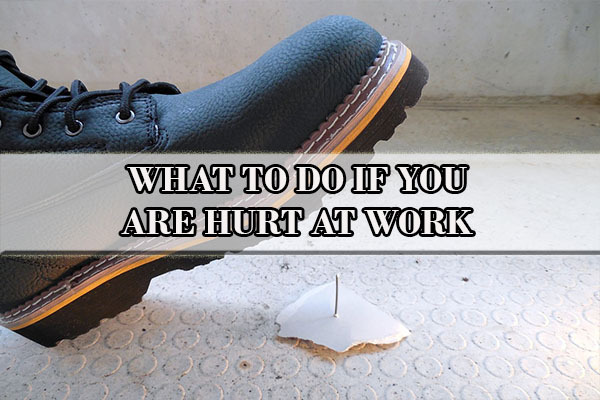 If you are hurt at work, obtain medical care soon as possible. Notify your doctors or hospital that you were hurt on the job. Follow up care must be obtained with medical providers accepting workers’ compensation as a means of payment. To qualify for continued benefits a medical report with degree of disability is required every 90 days. If you are injured at work, you may qualify for weekly benefits of compensation. The weekly rate may be up to 2/3 of your salary capped at the state maximum, whichever is less. If you used your sick and vacation time, workers’ compensation benefits can be used to restore your time. If you obtain an injury to your arms, hands, fingers, legs, feet and toes, you may be entitled to a schedule loss of use. This is a payment for any permanent damage incurred for those sites of injury. You do not need to lose any time from work in order to receive a payout on such injury. The insurance carrier will be represented by an attorney at every hearing at the Workers’ Compensation Board. We recommend that you speak with Workers’ Compensation attorneys to further advise you of your rights. Workers compensation attorneys will not charge you an attorney’s fee for your initial consultation. Fees are only charged and paid if a workers’ compensation attorney obtains benefits for you. 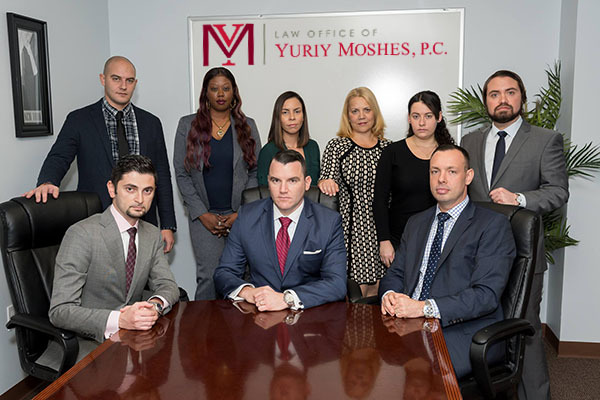 The personal injury lawyers of the Law Office of Yuriy Moshes can help you evaluate your legal claim and file a lawsuit. We will stand with you through the claims settlement process and even argue on your behalf in court.Our law firm represents clients in the greater New York City area including all of its boroughs (Manhattan, Brooklyn, Queens, the Bronx, and Staten Island) as well as Northern New Jersey, Long Island, and upstate New York.